I. Visions and prayer are modes of the mystical dimension of religion in which individuals seek or receive an unmediated experience of the divine power. A. Prayer can be both communal and individual, whereas visions (and auditions) are most often (though not exclusively) individual. B. Both modes point to the conviction that human existence is defined by transcendent power as much as by empirical facts. Prayer is the embodied expression of openness to that reality; visions are the experiences that confirm its truth. Visions communicated offer a share in the experience to others. C. Both prayer and visions are attested in the Greco-Roman and Jewish traditions. 1. A sample of Jewish prayer is 2 Baruch 21:19-26, and a sample of Greco-Roman prayer is the Hymn to Zeus of Cleanthes. 2. An example of a Jewish vision experience is I Enoch 13:7-10, and an example of a Greco-Roman vision experience is the vision of Scipio (Cicero, The Republic, VI, 9). D. As these examples indicate, analysis of the content of prayer and visions yields insight into the experience and conviction distinctive to a religious tradition. II. A survey of prayer in the writings of the New Testament reveals several distinctive features of the Christian experience of the divine power. A. In the Gospels, Jesus is portrayed as a person of prayer. The theme is particularly developed by Luke (3:21; 5:16; 6:12; 9:18, 28-29; 11:1; 22:41, 44-45; 23:46). 1. Jesus teaches his disciples the prayer that becomes known as the "Lord's Prayer," or "Our Father" (Matt. 6:9-13; Luke 11:2-4). 2. The attitudes of the Lord's Prayer are exemplified in Jesus's own prayer before his arrest (Mark 14:36 and parallels). B. In the other New Testament literature, prayer continues to be addressed to God but often is offered "through Jesus Christ our Lord" (see Rom. 16:25-27) or is addressed to Jesus himself as risen Lord (2 Pet. 3:18). C. The Acts of the Apostles provides narrative expression of the (sometimes implicit) assumption that prayer is a mode of access to divine power (see Acts 4:23-31; 16:25-36). An explicit statement of the connection is found in James 5:16-18. III. More than is sometimes recognized, the New Testament is a literature filled with accounts of visions and auditions. A. Although thoroughly a person of action, Jesus is portrayed as a person of prayer (see above) and as one who himself is a visionary. The conviction is implicit in his ability to predict the future (see Mark 13 and parallels) and is given narrative expression in the accounts of his baptism (Mark 1:9-11) and temptation (Matt. 4:1-11). B. The conviction that Jesus is the risen one is expressed in the account of the martyrdom of Stephen, who at his death sees Jesus at God's right hand (Acts 7:54-60). C. The experience of vision as a revelation of realities not fully understood is found in Peter's ambiguous vision of clean and unclean foods in Acts 10:9-16. D. Paul's vision of the resurrected Jesus is the basis of his own call (see 1 Cor. 9:1; 15:8). Acts reports the vision three times (9:1-9; 22:4-16; 26:9-18), and Paul may allude to the actual experience in 2 Corinthians 12:1-5. E. The most extravagant vision offered by the New Testament is that of the Seer John on the island of Patmos (Rev. 1:9-11), whose book reports a series of prophetic auditions from the risen Jesus (Rev. 2-3) and a powerful vision of God's triumph over evil through the risen Jesus (Rev. 4-22). IV. Mystical prayer and the experience of visions continue to be part of religious experience in Christianity. A. 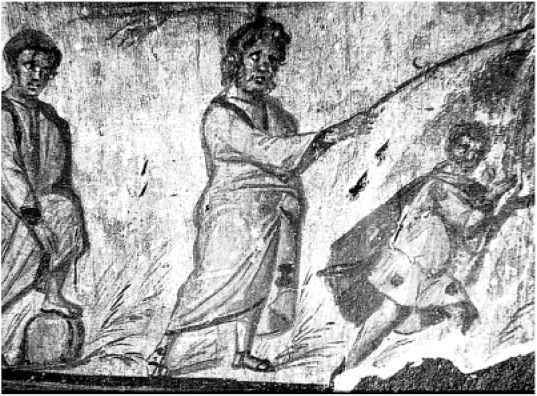 In orthodox circles, the context and content of such experiences reinforces the received tradition (in the second century, see, for example, The Shepherd of Hermas and The Martyrdom of Polycarp). B. Prayer and visions can also become the instruments of subversion and challenge to received traditions, providing alternative claims to authority based on experience (in the second century, see, for example, Montanist and Gnostic literature).